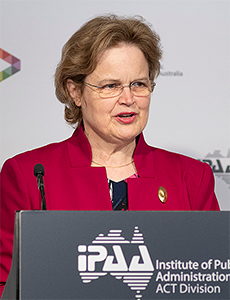 The IPAA Secretary Series provides a platform for Secretaries to address IPAA members. 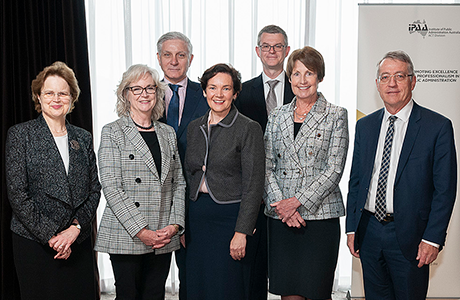 In 2018 IPAA held five Secretary Series, two of which were Valedictory Addresses. Resources from each event are below. A selection of the event photos are provided below, please contact IPAA if you require high resolution copies. 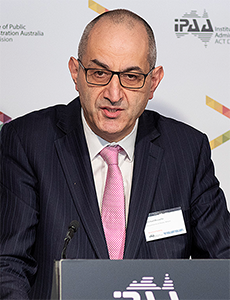 Michael Pezzullo, 30 October 2018 - a copy of the transcript can be accessed here. 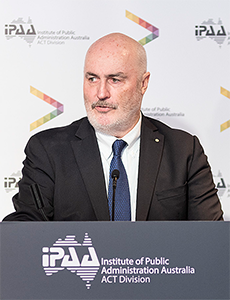 Chris Moraitis PSM, 21 February 2018 - a complete video of the event (39 minutes) is available below or can be viewed on IPAA's Vimeo channel here. 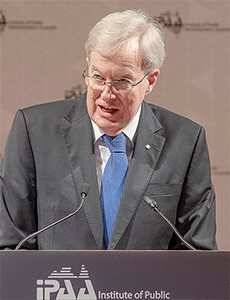 Simon Lewis PSM, 15 May 2018 - a complete video of the event (52 minutes) is available below or can be viewed on IPAA's Vimeo channel here. John Lloyd PSM, 6 August 2018 - a complete video of the event (47 minutes) is available below or on the IPAA Vimeo channel here. 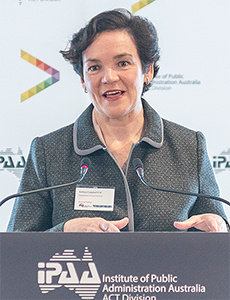 Kathryn Campbell AO CSC, 26 September 2018 - a complete video of the event (46 minutes) is available below or on the IPAA Vimeo channel here. 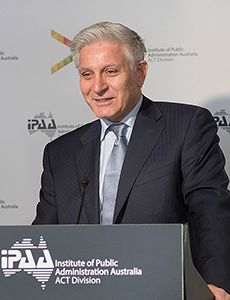 Michael Pezzullo, 30 October 2018 - a complete video of the event (54 minutes) is available below or on the IPAA Vimeo channel here.